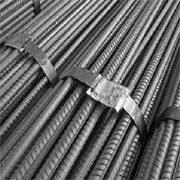 TMT Bars (Thermo Mechanically Treated) Steel, can be described as a new-generation-high-strength steel having superior properties such a sweldalibility, strength, ductility and tensility, which meet the highest international quality standards. One of the most common types of TMT Construction is used for home and building construction. The production of quality TMT Bar depends on three major factors - quality raw materials, a properly designed and automated mill, and a well-designed quenching and temping technology. All bars must be purchased based on the properties of yield strength, tensile strength and elongation values.